MultiBrief: Exporting the revolution: Shale gas goes global. Or does it? By now there are few who doubt the transformative impact of U.S.-produced unconventional resources on both the domestic and international markets. But there is little consensus on the odds of the so-called 'shale revolution' going global. Just as once a polarized world looked on during the years of the Cold War, unsure whether the communist revolution would be contained within the Soviet Union or fulfill Vladimir Lenin's dream and go global, so OPEC producers and Russia today look on anxiously to see where the unconventional boom is heading. Even Saudi Arabian princes have been ringing warning bells for those unprepared for the game-changing market shifts. But other analysts cast doubt on the exportability of North America's most recent revolution. With the approval of the U.S.' fourth LNG export facility last week at Cove Point, low domestic gas prices within the country are being accompanied by a wider global impact, and heavyweight producers such as Saudi Arabia and Russia are starting to take note. But it is when evidence gathers that not only could North American LNG be let loose on world markets, but others shale-rich countries around the world could follow suit with their own booms, that traditional producer nations sit up and listen. Back in 2010 the potential impact of shale was easier to dismiss by those whose market share was threatened. Alexei Miller, the influential CEO of state-owned Russian gas juggernaut Gazprom, made a colourful speech to the European Business Council littered with fanciful gastronomic analogies and defending the resilience of producers of conventional oil against “shale fever”. He maintained that “if you fell for foie gras, it does not mean that the buttery soft tenderloin steaks grilled to your taste are made redundant.” But a few years on and even his ally Vladimir Putin has moderated his position, still striking a cynical note but humbly noting that “whether Gazprom slept through the shale revolution or not, it's a difficult question. There is no answer to it yet.” This may of course have much to do with the fact that Russia is on the list of potential 'shale-boomers' of the future. Now even billionaire Saudi Prince Alwaleed bin Talal has joined the chorus of voices, warning his shale-revolution-denialist Oil Minister of the threat to the oil-dependent Saudi economy, and urging economic diversification. Significantly, in his open letter to the Minister he made reference to impacts in the “not-so-distant future”. 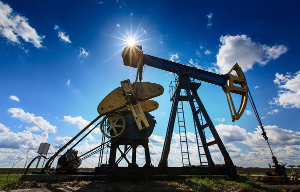 A newly released report by analytics firm IHS generated much hype for the potential of global 'tight oil' reserves, suggesting that international reserves may be several times those of North America. The report identifies the 23 highest potential plays worldwide, where combined technically recoverable reserves are likely to be 175 billion barrels (IHS estimates 43 billion barrels in the US). Prominent among these plays are Argentina's Vaca Muerta formation, Russia's Bazhenov formation and scores of others from Europe to Australia. However the firm itself admits the data remains highly speculative, compiled based on comparing international basis with existing ones in the US, where much more comprehensive well-by-well data exists. The fact remains that it is difficult to get a clear idea of how much resource there is to pump out until development of a well begins, so for now guesswork may be the best anyone can do. However the geological details are only part of the story. Analysts have highlighted several reasons why any progress globally on shale is likely to take some time to materialise. Above the ground, the obstacles vary by country and are often significant. Firstly subsoil ownership conventions in the U.S., where landowners control much of the rights to the resources beneath their feet, are not mirrored in other parts of the world. The right to the riches in your backyard has shaped the nature of oil booms through North America's petro-history. But in most countries, natural resources beneath the ground constitutionally belong to the people and are managed centrally on their behalf by the government. The development of a shale basin on your land looks very different when you are not receiving a royalty check through the post to compensate for the nuisance. Secondly, the much higher population density in Western Europe and China is an obstacle. With less than 10 people per square kilometer, North Dakota can absorb the exponentially increasing drilling activity demanded by shale exploitation, for now at least. However this looks very different in the UK (261 people/square km) and China (146 people/square km, and far higher in places). The environmental lobby and the vocal 'not in my back yard' contingency in the UK has been a thorn in the side for promoters of shale. Thirdly, the pure drilling power of the U.S. is simply unmatched elsewhere. According to Baker Hughes, as of September 2013 there were 1,761 rigs active in the US, compared to only 1,267 internationally, fuelled by armies of specialised service companies and independent drillers with a taste for risk. That sort of infrastructure takes years to build up, and certainly is not yet in place in other parts of the world. Finally, there is the question over the direction of future demand, needed to soak up the rapid increase in production capacity that would result from a globalised boom. The continued economic troubles in developed countries, Chinese slowdown and energy-efficiency legislation all dampen global demand, with a clear impact on investment decisions. However even in the face of these obstacles, many countries with potential reserves continue to battle with the anti-shale lobby, and to create more enticing tax incentives to kick-start their own energy revolution. Assuming many of these obstacles could be overcome, who are the likely contenders for the next shale hotspot? In the UK, political leaders have been outspoken about n their own slice of the US miracle and have been trying hard to appease in a quest for energy security, given energy imports projected to rise from 45 percent of demand now to 76 percent by 2030. The British Geological survey has identified and is assessing prospective areas across the country, with up to 1,300 trillion cubic feet estimated in the north of England alone. The government recently outlined generous tax breaks for companies investing in shale exploration. But the promise of the creation of thousands of jobs, lower energy bills and compensation for host communities has not convinced environmental campaigners and an electorate confused by the “information chaos” surrounding the issue. The industry remains very much in its infancy. China has the largest shale resources in the world. But geological complexity and above-ground risks such as poor infrastructure and population density have complicated Shell's experience drilling for shale in the country. Water, a key resource for shale exploitation, is also scarce. But tellingly, Shell continues to invest $1 billion a year in China, in an effort to replicate the U.S. experience on Chinese soil. Argentina, Russia and Algeria are frequently cited as holding very prospective basins. Political risk considerations and high levels of government intervention in all of the above have put off some investors. Even so, Chevron remains buoyant on Argentinian soil. Russia is joining the shale race with exploration at the Bazhen formation (estimated to be five times larger than North America's Bakken formation). In Algeria, majors such as Shell, Eni and ExxonMobil have entered deals with the government, attracted by more favourable tax breaks that in Europe, but sub-Mediterranean pipelines already in place to reach European markets. It would seem energy companies are voting with their feet on the question of shale outside the U.S., and OPEC and friends are right to be taking note. But don't expect the significant obstacles to be overcome easily. The American miracle might not venture far beyond U.S. soil just yet.